Atmospheric light fills the Liquid Rooms in Edinburgh, as the venue buzzes with anticipation. 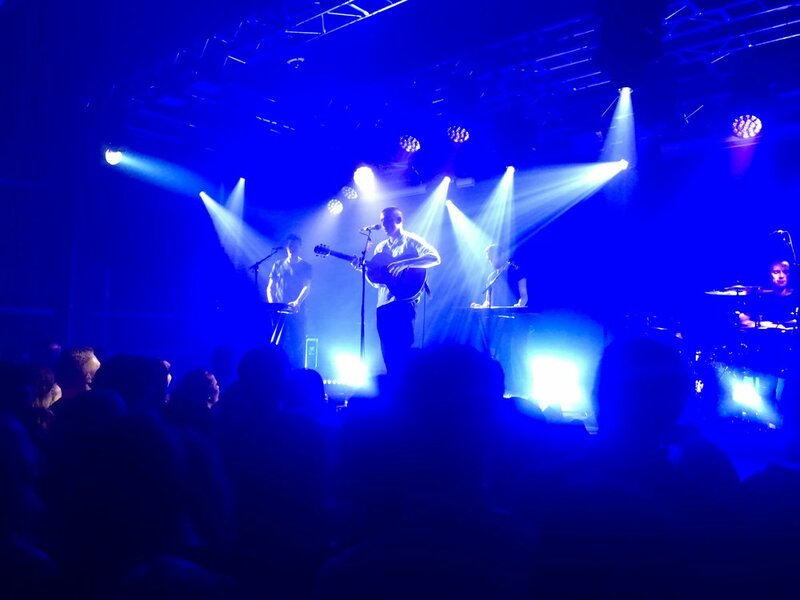 Dermot Kennedy, an Irish singer-songwriter who released his debut album in 2013, has attracted a diverse crowd. I spot men in their late 20s, middle aged ladies, and teenagers. This singer has a unique sound – rustic, yet sweet, a longing infusion of folk music and contemporary hip-hop. It’s a comfort to the ears, and seems to fit a variety of musical preferences. Dermot arrives on stage at 8:30pm, opening with one of his most popular songs. The beat is almost overpowering, but lends itself perfectly to a live set up. The familiar vibration of base guitar hugs my chest as I stand there, a pint in each hand. I am an avid drinker, a bit tipsy already, but Dermot’s singing still pierces my soul. His voice is as fiery and powerful as always, with a slight rasp to it. I manage to get a spot right next to the stage. I sneak up, like I’m on a secret mission. I’m able to stay near to the drummer for two or three songs before security pushes me away, and I disappear back into the crowd. The atmosphere is calm and respectful - people are not here to rave, but instead to appreciate the Irishman's personal depictions of reality. 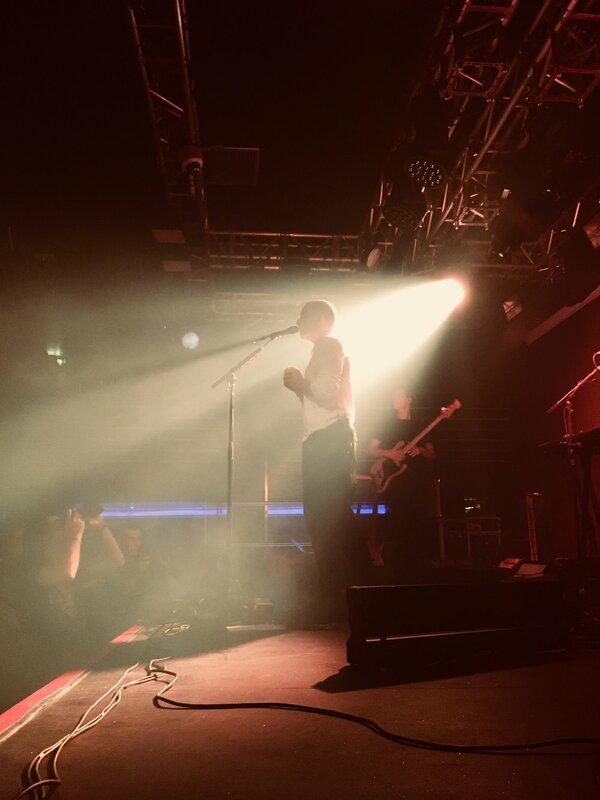 What makes Dermot Kennedy stick out from other up-and-coming musicians is his rare take on songwriting, his poetic influences allowing him to create songs that remind me of spoken word. The music is sedating, it fills up a void inside you, touching your heart, it makes you long for something. Closed eyes, clasped hands, the young Dubliner is passionate about his music and it shows. The lyrics discuss life, death, love, and friendship. They largely mimic what appears on the album, aside from some lesser-known songs that are yet to be released. One of the benefits of a live gig is to experience variation from the recorded material, however, his performance lacks in that department. Not that it matters, he still sends shivers down my spine, but I’m not left with an everlasting memory of a unique musical experience. In one of the two breaks he gives between songs, he talks about “All My Friends”, a song of personal significance, of experiences with the friends that he loves. The talk is no longer than it needs to be, and he only stops once more during the set. I like it when singers respect their music as being able to speak for itself, but Dermot’s contact with the crowd is limited. He is so engaged in the music, that the crowd is excluded. He’s in a bubble, and sure, its magnificent to experience such passion, but it doesn't send me the right vibes. You want to be there with him, you want him to share this experience with you - but he remains a mystery.